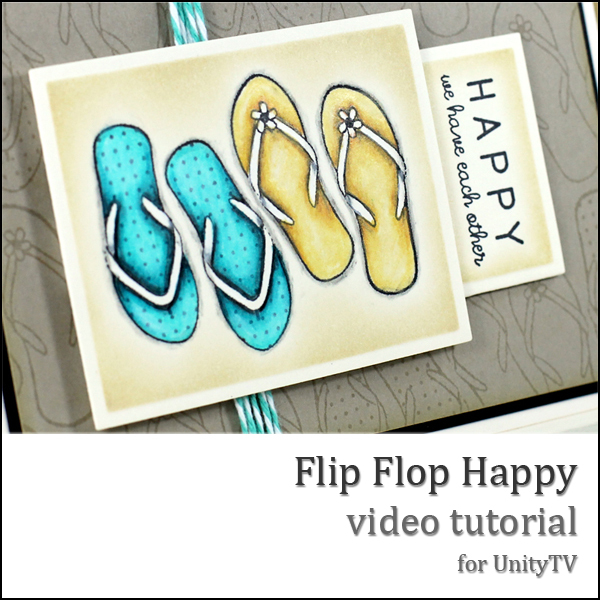 A couple of weeks ago this tutorial aired for UnityTV, and I thought it was about time I shared it here too! I used the adorable Flip Flop Happy to create a background using my Stamp-A-Ma-Jig and Versamark on Bazzill Card Shoppe cardstock. Then I coloured a smaller panel with Prismacolor Pencils and added some sponging with Antique Linen Distress Ink. I'm really pleased with how it came out! Some knotted twine finished off my card nicely. 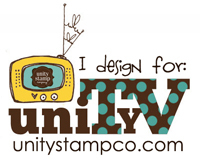 Make sure you check out the other fabulous tutorials on the UnityTV Channel, there's definitely something for everyone! 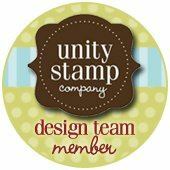 I'm entering this into the Moxie Fab Repetition Challenge. Fantastic tutorial Danielle, I can't wait to give mineral orange a try with shading for yellows, and wow a whole new use for my many Spellbinders dies, thank you.